HGTV Dream Home 2019: 8 Design Elements To Steal For Your Own! So much to love about the HGTV Dream Home 2019! Here’s what goes into my personal IdeaBook. One of Steve and Brooke Giannetti's most well-loved home designs offers endless inspiration! Nothing like a trip to the city to reignite your love affair with on-trend architecture and design. For me, it was a recent breakfast at Chicago's The Kitchen that did just that. All it took was one step into this cool, urban hot spot and I knew exactly why I continue to crush on industrial decor. And why my homes have subtle hints of industrial elements throughout. Metal, cement, zinc, stone, glass, and an occasional pop of the unexpected, add a stylish, modern feel--and a fun, casual flavor that works with any aesthetic. Steal The Look: Create a Warm, Inviting Front Entrance...Charleston Style! Nothing says welcome like a Charleston entrance. 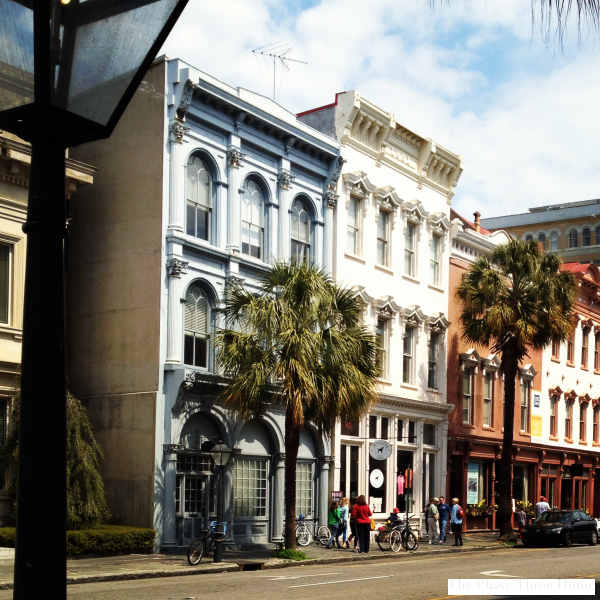 From the lure of a romantic garden gate to a charming store front laced with local character, Charlestonians just have a knack for creating captivating front exteriors. Part architecture, part southern charm, part nod to their cosmopolitan history and lifestyle---each and every entry has a unique personality. And an appeal all its own.